Inscription: Print, verso, pencil, Crane inventory number: lower left, "L67.20". Print, verso, wet stamp, black ink: lower right, 8 cm "WALKER EVANS" stamp; lower right, "COLLECTION / ARNOLD H. CRANE, CHICAGO, U.S.A.". From mid-July to mid-September 1936, Evans took a leave from his position as an information specialist for the Historical Section of the Resettlement Administration to work with the writer James Agee on an assignment for Fortunemagazine. They traveled to the Deep South to prepare an article on tenant cotton farming. 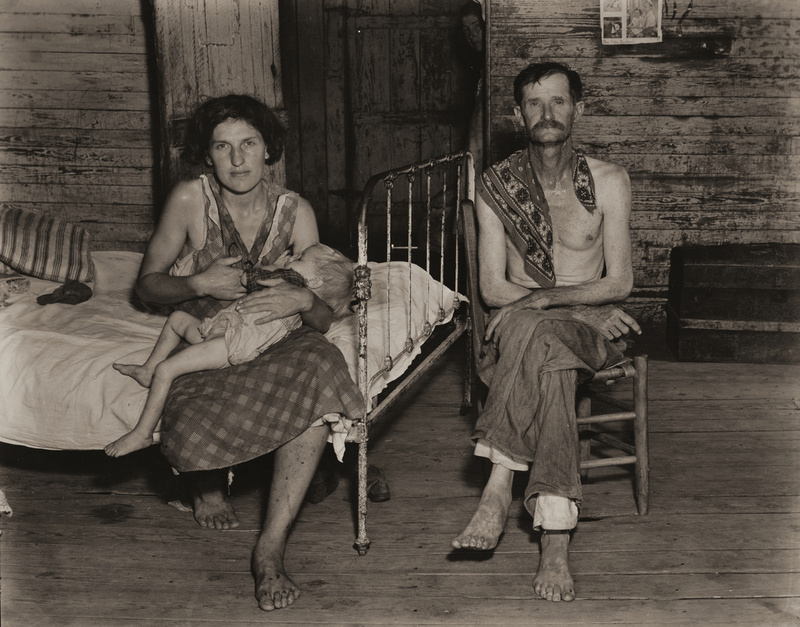 In Alabama they documented the lives of farmers, including the Fields family. Evans found in this average American household the archetypal portrait of the everyman that he treasured. The straight-forward style of this portrait emphasizes the family's hard life as much as their pride.